I recently had a bad experience with my Toshiba laptop. It all started with powering it up and then wham! the dreaded ‘blue screen of death’! Gave it out for repair and the technician traced the problem to the motherboard. “What exactly is the issue with the motherboard” I asked. All he could say was “Seeing I’ve had the laptop for awhile, the motherboard was due for a change” , he also termed it “dead on arrival”. My heart sank. I knew this was going to deep a big hole in my pocket. I told him to pack up my laptop, thanked him and went back home with it. Now, let’s talk motherboards and its intricacies. UNLESS you’re planning to upgrade your computer anyway (which should be between 3-4 years according to research) changing out the motherboard should be the very last resort to resolve problems. Motherboard sometimes called the ‘Baseboard’ or ‘Mainboard’ is the main circuit board found in micro computers. Nearly all of the components that make your computer work are attached to and specifically compatible with that particular motherboard model. When a laptop component fails,it requires the replacement of the entire motherboard. Trust me when I say, a laptop motherboard is more expensive than a desktop’s due to the large number of integrated components and their custom shape and size. We all know technology is constantly changing, so you may not be able to replace the board with the exact same model you have. If anything about the new motherboard is different – the size, the shape, or even the location of the expansion slots – you could find yourself replacing more than just one component. Therefore, it’s vital that you eliminate all other possible failures before replacing the motherboard because it provides the electrical connections by which the other components of the system communicate and one mistake could jeopardize the entire function. Fine, as important as a motherboard is, most people think its not getting the attention it deserves, but that doesn’t mean we should deliberately give it the attention it needs. Laptop computers generally use highly integrated, miniaturized and customized motherboards. 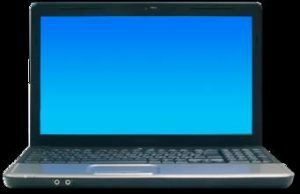 Its one of the reasons that laptop computers are different to upgrade and expensive to repair. 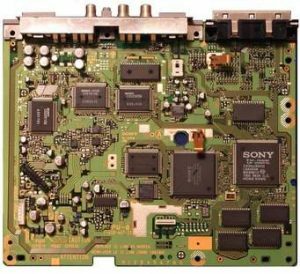 Motherboards are historically the most difficult pieces of hardware to diagnose because, in most cases, you have to rule out every other piece of hardware that is connected to it. There aren’t usually any real signs of failure, it’s either your motherboard is dead or working. Of course, there are subtle symptoms to a dead motherboard. Computer may start to boot but then shuts down. 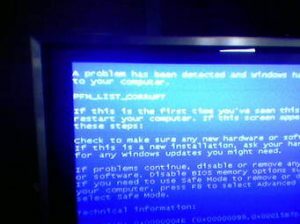 Increased Windows errors or “blue screens of death” are also symptoms of failing motherboards. The computer may freeze for seemingly no reason, or connected devices that worked before suddenly won’t work, the list goes on but with all this, be 100 percent sure it’s a motherboard problem before dismantling your computer. For most people, though, they’re much better off buying a new motherboard. In this case, its best to look for an exact replacement. Back to my ordeal, I decided to recycle my laptop from Kwam-iT. Got my payment, added some money and got myself a new Dell (using it to type this article at the moment). Whichever solution you resort to, make sure its the best one. the push to recognition. – kwam-iT UK Recycling Blog .